HCM CITY (VNS) — Developing more green buildings and promoting green standards for construction works is a necessary and urgent step to save energy and natural resources in the country, the chair of the board of the Viet Nam Green Building Council has said. Speaking at the seminar on "Green Building Development in Viet Nam", Professor Nguyen Huu Dung, who is also an architect, said: "The construction industry is the most developed, but the most polluted industry. It consumes 70 per cent of natural materials, 40 per cent of national energy, 30 per cent of fresh water and exhausts 30 per cent of gas, causing the greenhouse effect, climate change and higher sea levels. "The industry must make changes to ensure sustainable development," he said. According to the Asia – Pacific Green Building Network, Viet Nam has had a limited number of green construction projects. Green building creates structures and uses processes that are environmentally responsible and resource-efficient throughout a building's life-cycle, including stages of design, construction, operation, maintenance, renovation and deconstruction. "The development of green building in HCM City is like a bus without ignition to start the engine, which needs many people to push it," architect Tran Khanh Trung, president of HCM City's Green Architect Club, said. "People" includes: government; organisations, associations; consultants, designers, and project management; construction contractors; suppliers; developers; universities; and media and users. 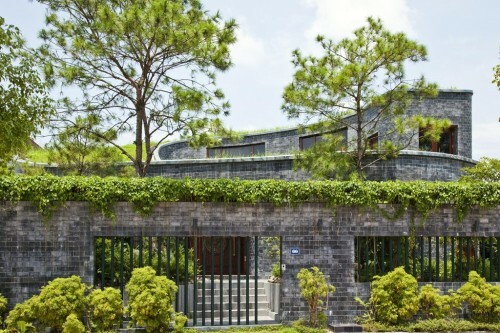 "The Government has released its Viet Nam Green Growth Strategy in 2012 along with national technical building regulations for energy-efficient buildings. Lotus green building rating tools have also been issued," Trung added. Trung also noted that many design consultants had started providing green building consultancy, and several contractors have gained green construction experience. In addition, more developers have begun selecting green solutions for their projects. "But as of September, HCM City has had only two buildings certified with the Green Mark and one building awarded with a LEED Certificate from the US Green Building Council. No project has received a Lotus rating," Trung said. In order to create a green building market in HCM City, Trung said that building public awareness about environmental protection was very important. "We should help people understand the value of green buildings, and increase demand for green buildings, and create a market," he said. "Local government should be strict with the public in enforcing environmental protection laws, and also with investors and projects that commit violations. It should also provide more incentives for green projects and products," he said. Associate Professor Do Tu Lan said: "Viet Nam should complete its own standards for green city development, which should be flexible and reasonable for different cities and regions." Currently, the United Nations Human Settlement Programme (HABITAT) is supporting several towns and cities in Viet Nam, like Hoi An, to help them target green growth. In addition, German experts from the German Federal Enterprises for International Cooperation (GIZ) are working with the Ministry of Construction and medium-sized cities to help them adapt to climate change, limit natural calamities and prevent flooding. The new Green One UN House, nearing completion on Ha Noi's busy Kim Ma Street, has become the country's first building in to achieve a provisional Gold Lotus rating from the Green Building Council. Every aspect of the six-storey building has been designed and built to limit the impact on the environment. By fully insulating the building, maximising the efficiency of its heating and cooling systems, making the most of natural light and using energy-efficient lighting, energy consumption is expected to be cut by at least 25 per cent compared to a baseline model. Water consumption is also expected to reduce by 36 per cent due to more effective use. Photovoltaic panels on the roof will harness solar energy to generate 10 percent of the building's annual electricity requirements. The UN is working to reach agreement with the Electricity of Viet Nam to feed excess power (excess from the expected 10% of its need) into the national grid to replace power that would have to be generated through less environment-friendly means. The gold rating was announced at the Viet Nam Green Building Council's annual green building conference and workshop in HCM City yesterday, an event that attracted more than 150 participants from all over the country. Construction, which began early last year, is on track to be completed at the end of October. It is a joint endeavour between the Government, donors, and the UN. The Government contributed the site and supported through other material sources.